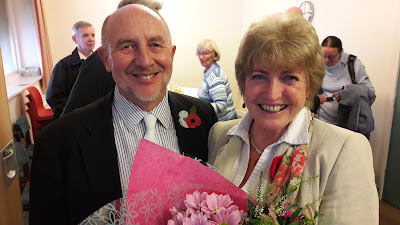 We are absolutely thrilled and privileged to welcome Rev Gaynor Hammond to become the part-time minister at Hope Baptist Church. Among other activities, Gaynor will preach twice a month and lead a weekly guided Bible study and discussion each Tuesday morning. 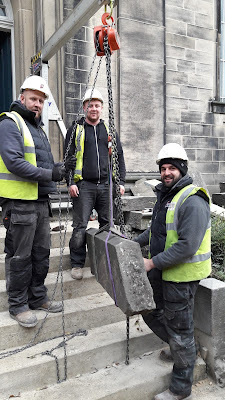 Concrete foundation is now set and so the jigsaw of giant stones is reassembled on the front steps. Perhaps the most visible sign of progress as the great bunch of guys from Anelay Building & Conservation ... supported by money from Heritage Lottery Fund ... continue to do a brilliant job.